Working digitally often takes us very far from traditional approaches and about a year ago I found that for me the results were no longer that satisfactory and I felt the need of going back to the roots while at the same time not disregarding the digital medium as such. I didn’t deliberately decide to choose specific artists as mentors of sorts, it just happened that I found myself looking more and more at the work of three of them. The three became my guidance as I approached brushstroke, color and form all over again. I’ll make a brief presentation of these three artists in three posts, to explain but also understand why I took them as guidance, but also to share the beauty of their work. 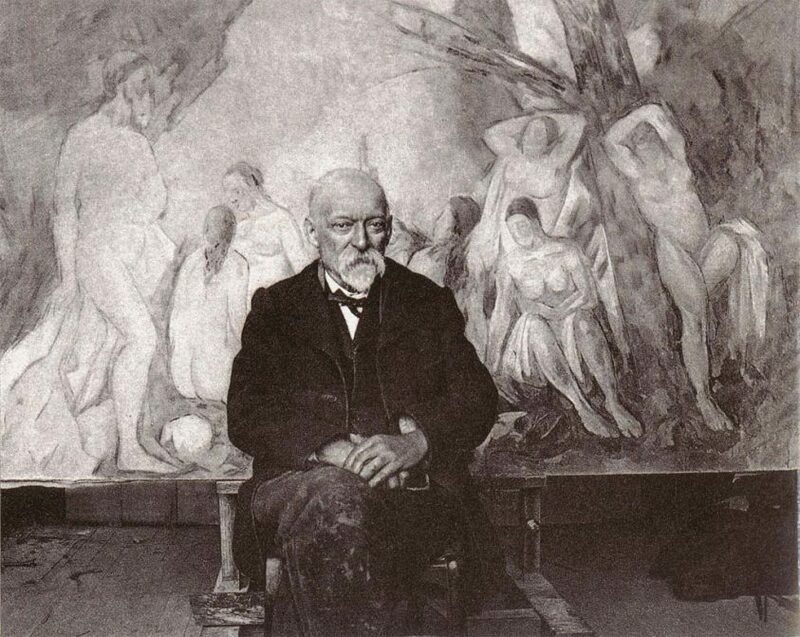 The first master I rediscovered is Paul Cezanne. Fairly obvious perhaps, but not to me. 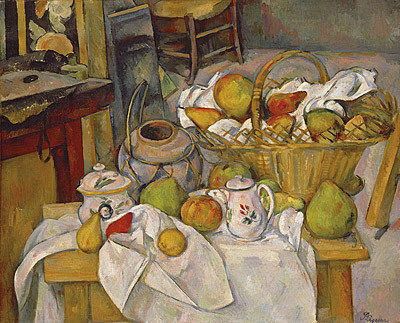 I never quite remembered Cezanne’s paintings until recently. I always preferred human figures and cubism, while he was mostly into still life and nature, which I found very boring in my 20s. His work was at times sketchy and experimental, as someone saying “to hell with it!”. He was an oddity during his lifetime and, to my surprise, he might still be. But after all these years something attracted my attention, starting from his philosophy of art and an obsession that made me curious. He was a grumpy solitary man who didn’t exhibit much in his lifetime and had his first solo exhibition well past his 50s. He didn’t even attend. He wanted to paint. He was determined to unlocking the mystery of perception itself and finding a way of capturing nature into paint form. 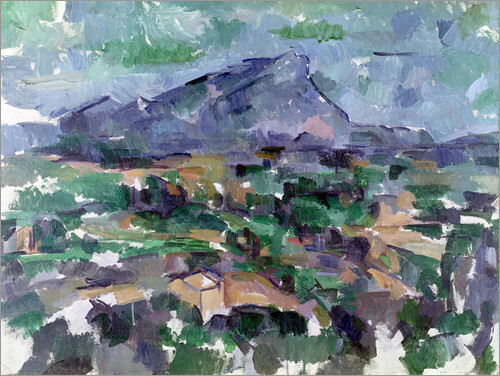 The process gradually led him to distorting perspective and simplifying shapes, up to anticipating cubism and, I dare say, even abstract painting (his latest depictions of Mount Saint Victoire almost disintegrate form into scattered brushstrokes that leave much of the white canvas exposed). The more I looked at his work the more I had the impression I could feel his determination and struggle. 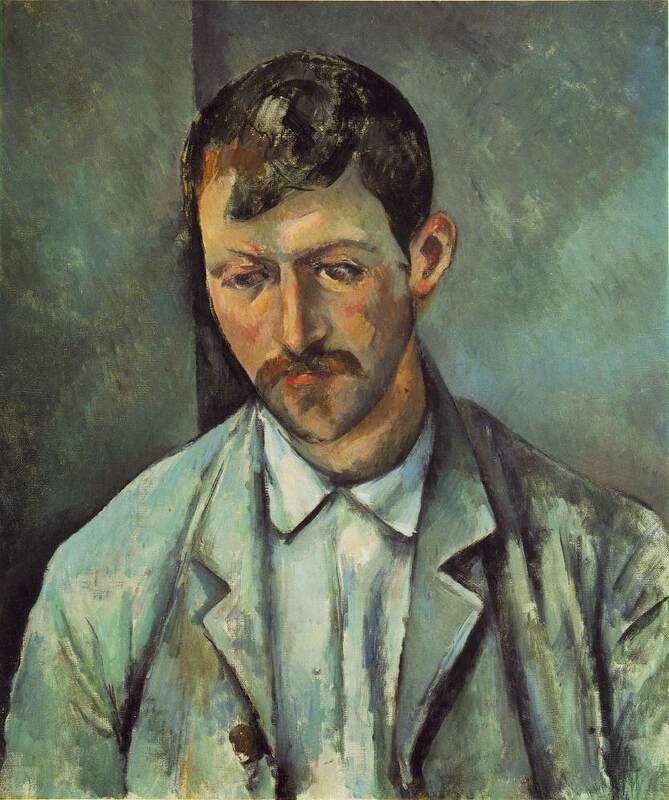 Maurice Merleau-Ponty even wrote a short essay about it, titled “Cezanne’s Doubt”. But what mostly struck me was his brushwork: short and precise, as the post-impressionist he was, but done in such a way as to create a very unique texture that captivated me the more I looked at it. At first his paintings might seem quite dense, but I recently had the fortune of seeing a few of his pieces and once I got close I was surprised to discover that they were rather flat for the most part. What gave his work that texture were the layers of short strokes all of which rather dry, never fully covering the one behind. At times you can still see the white canvas and yet when you step back it all takes form and depth. Not to mention the use of black and dark areas. He once said he wanted to make paintings that make you want to touch them. He completely succeeded. Sometimes his work feels like wood carving with a layer of paint on top. This made him one of my favorites, now after so many years. I observed his portraits more than once before approaching my own work. After one century this man is teaching me and I can understand why Picasso said “he’s the father of us all”, “us” being the cubists. But I’d say he’s the father of all modern artists, whether they know it or not. If you have the chance observe his paintings for a while and if you’re puzzled keep in mind that what you’re seeing was happening at the end of the 19th century on the hills of the french Provence. I developed quite a sympathy towards Cezanne because he was a rugged countryman, with good principles and very much a recluse. He didn’t care about fame and fortune. He just wanted to unlock the mystery of painting. What a noble and yet impossible task! A modern Odysseus of art. 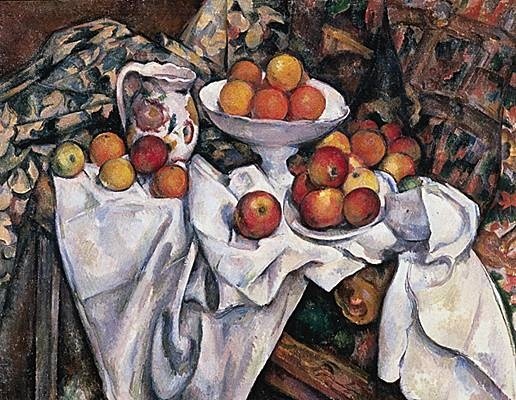 Even though his subject matter is not in line with my own, preferring the way of the symbolists (more to be said in the next post), Cezanne’s technique and existential approach to art and the nature of perception remain a great point of reference. I’m sure that if this solitary, honest but grumpy man could come back and hear all the good that’s been said about him after his death he still wouldn’t care and would go on painting Mount Saint Victoire for eternity, probably rebooting modern art once again.